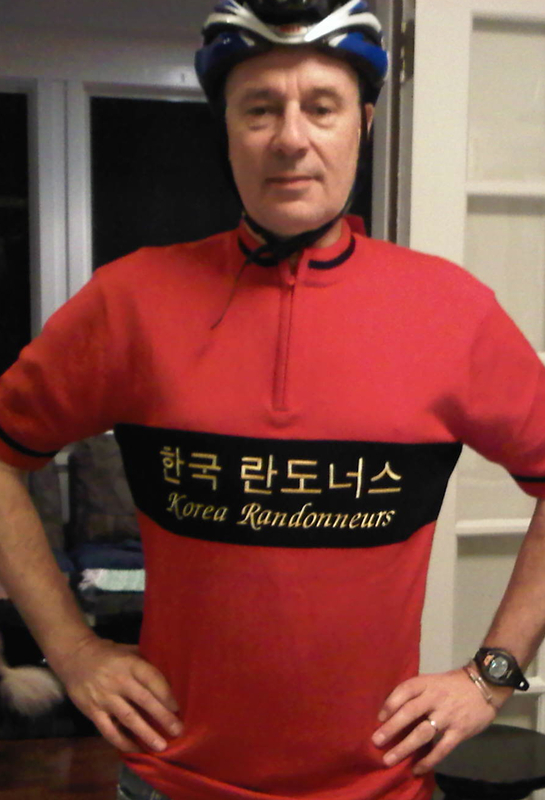 Finally ... "Korea Randonneurs" have now their own jersey made from Merino wool. With several cold nights of Brevets ahead of us, this jersey should keep Randonneurs warm and cozy. If you are interested in purchasing such a jersey, contact Lothar. 마침내! 한국란도너스만의 메리노 울 져지를 갖게되었습니다. 추운 밤에도 달릴 우리들의 Brevets동안 한국란도너스의 메리노울져지는 란도너들을 따듯하고 편하게 해줄 것입니다. 져지구입에 관심이 있으시면 로타 회장에게 연락주세요 - or Rhee Allison.